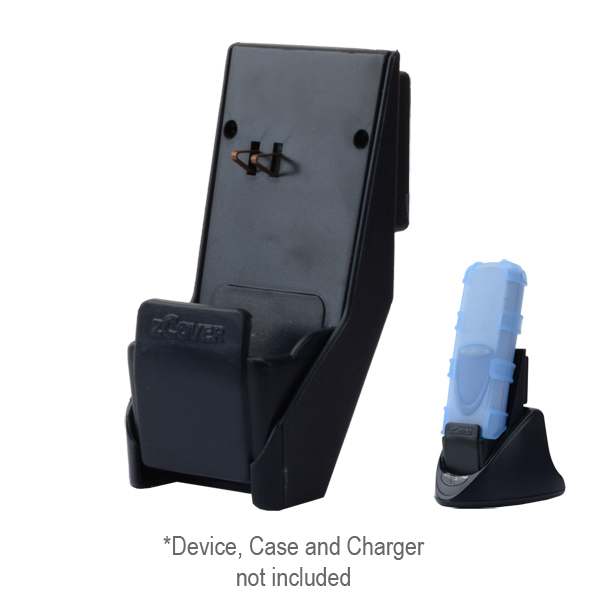 OPL97ZCK Dock-in-Case® adapter works perfectly with zCover Silicone Case (sell separately) for Opticon Data Collector OPL9723/9724/9725/9727 Scanner. OPL97ZCK Dock-in-Case® adapter is compatible with zCover back open healthcare grade silicone case OPL97BC. It perfectly fits on Opticon Data Collector OPL9723/9724/9725/9727 Scanner Desktop Charger. User can charge the device with or without the case on. The proper way to charge your device with zCover case on is to insert the device into the bay slot first, then push backwards to the charge position. OPL97ZCK adapter may be damaged if you sliding along the backwall, it bends the pins.